I love friends to lovers, insta love, and AR! This book is the perfect combination of all three rolled into one, and it was a full length! So exciting. From the first moment that Jordan meets Jay, he knows he wants her. During their first interaction, Jordan fumbles over his words and acts a bit weird, so he is placed into the friend zone. It’s not because Jay isn’t interested because she definitely is, but she thinks Jay only sees her as a friend. When Jordan decides to but the moves on Jay, she becomes the one that fumbles over everything. They are sweet, cute, and adorable all wrapped into one. This book has everything from amazing chemistry to sugary sweet romance. There is a bit of drama mixed in as well. We also get to see the other characters from the series, even though all the books can be read as a standalone. Jay and Jordan have to be my favorite couple yet, and I can’t wait for more from this amazing duo! Alexa Riley is New York Times, USA Today & #1 Amazon Best Selling author. 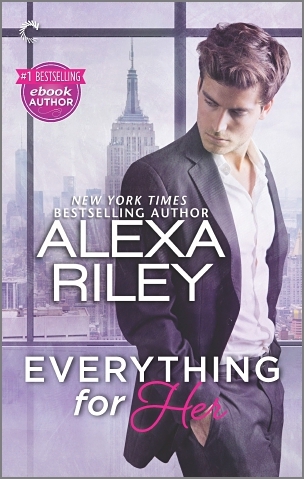 Alexa Riley is two sassy friends who got together and wrote some dirty books. They are both married moms of two who love football, donuts, and obsessed book heroes. They specialize in insta-love, over-the-top, sweet, and cheesy love stories that don’t take all year to read. If you want something SAFE, short, and always with a happily ever after, then Alexa Riley is for you!